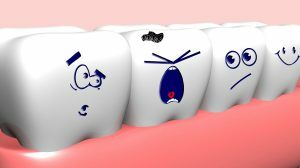 We likely don’t have to tell you about the level of pain that comes at certain stages of tooth decay. That electric nerve pain is one of the worst surprises you can get when you bite down on a sugary piece of food, apply too much pressure, or drink a cold beverage. It can be enough to drop you to your knees. If you’re reading this post right now, you’re likely experiencing some degree of tooth pain right now, a pain that you’d probably like to stop as soon as possible. At our Rigby dental clinic, we’ll help make that happen. 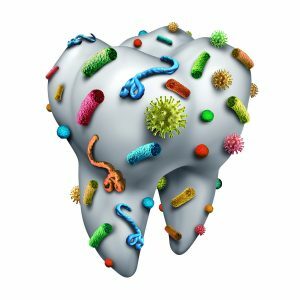 No matter what your specific condition might be, here’s how we can help you at every stage of the tooth decay process. When you eat food, you break it down into carbohydrates in your mouth during the chewing process. The carbohydrates merge with the bacteria that naturally lives in your mouth. This creates a chemical reaction that results in an acid. The acid then accumulates various food particles left over in your mouth between meals, which ends up making that hard, sticky substance on your teeth – this is what is referred to as “plaque”. Regular dental cleanings at our Rigby dental clinic are an essential factor in staving off tooth decay, as it will help keep plaque formation down. All of that acid that accumulates in your mouth starts to eat away at your tooth enamel – the protective layer surrounding your teeth. This process is often slow enough that your body has time to replenish the enamel. At our Rigby dental clinic, we can also provide dental cleanings that will help ensure enamel replenishment. However, poor dental hygiene or excess carbohydrate consumption can result in tooth decay progressing to the next stage. You’ll know you’ve reached this stage if you start to see dark spots forming on a tooth or multiple teeth. Many think these dark spots are the cavities themselves, but this isn’t the case. These spots merely indicate that acid is beginning to eat its way past the tooth enamel. At this stage, stopping and reversing the process is still possible. At our Rigby dental clinic, we can provide tooth cleanings and other services to keep it from progressing. 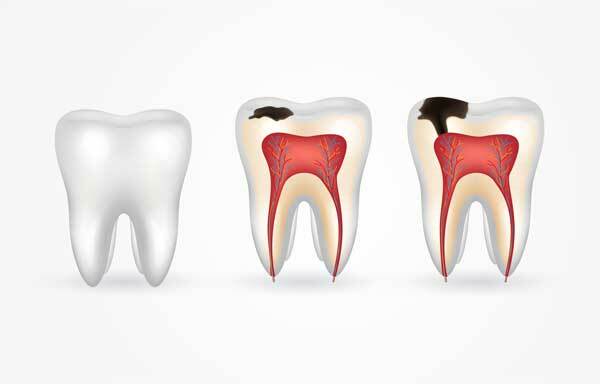 If a tooth or many teeth are really starting to hurt, you’ve likely reached the stage of cavity formation. 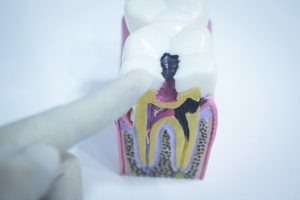 This is when the acid has fully eaten its way past the tooth enamel and is making its way into the dentin – the hard, bony layer of the tooth between the enamel and the tooth pulp. 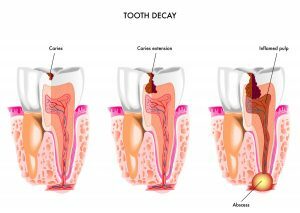 Unfortunately, there is no hope for any kind of natural “reversal” of the tooth decay process once a cavity has formed. However, at our Rigby dental clinic, we provide dental fillings, which will not only stop the pain resulting from cavities, but also stop the tooth decay process in that area, before it can progress to the next stage. If you are currently experiencing this, or have experienced it in the past, then we don’t have to tell you just how painful it is. But we can explain why. The tooth pulp is the soft, fleshy tissue underneath the dentin. 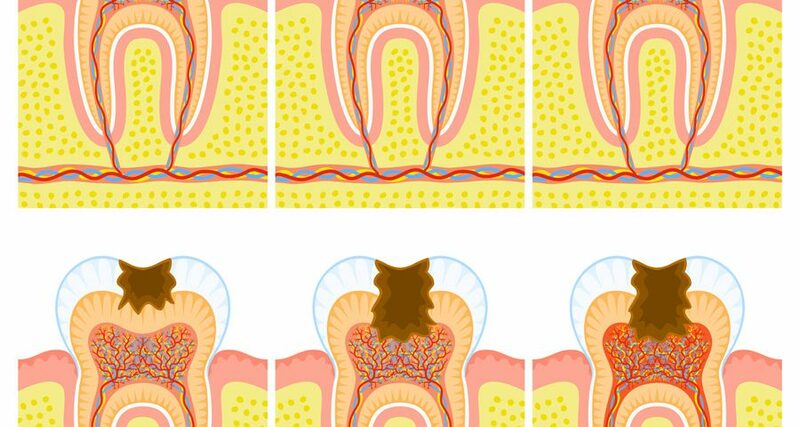 When a cavity has made its way into this tissue, it can create an infection. The infection causes the tooth pulp to swell, however, the swelling is suppressed by the surrounding dentin. So where does all that pressure go? It ends up getting forced downward onto various blood vessels. Not only is this extremely painful, it also cuts off blood flow to the tooth pulp, resulting in its death. If you are in the early stages of pulpitis, we can help solve the issue with a simple filling. However, if it has progressed to later stages, where the tooth pulp has begun to swell and become infected, a root canal is required. A tooth extraction is also an option. We know you’re likely not looking forward to any of this. Just keep in mind, at our Rigby dental clinic, we provide all of the sedation and anesthesia you need, as well as plenty of relaxing amenities to help you feel comfortable and relaxed throughout your procedure. If pulpitis wasn’t enough to finally motivate you to make an appointment at our Rigby dental clinic, an abscess is likely to do so. An abscess is an inflamed pocket of pus that forms near the tooth nerve, which can eventually spread out into the surrounding gum line. From there, the infection can actually make its way into the bloodstream, increasing your risk for heart attack and stroke. At this stage, a root canal is the only option. We know it doesn’t sound fun, but with modern technology, this procedure doesn’t have to be the nightmare it once was. At our Rigby dental clinic, we will make sure that the dental pain resulting from an abscess is ultimately eliminated, so that you can focus on work and leisure again, not that blinding pain in your tooth!